Please get in touch if you'd like to join the soak.com network. We are delighted to offer an Extra 20% off All Showers with Code SHOW20. If you would like to get in touch and join the soak.com network, please don't hesitate to get in touch. We are delighted to offer an Extra 10% off All Orders this Bank Holiday using code OFF10. We are delighted to offer an Extra 10% off All Bathroom Suites with Code SUITE. soak.com Latest Promotions - July! soak.com are running £100 off orders over £500 + free delivery! Use code OFF100 to claim this discount! We are delighted to offer an Extra 10% off All Furniture with Code FURN10. We are delighted to offer an Extra 20% off sale items - promotion auto applied. Offer starts on 24.06.18 and ends Midnight on 26.06.18. Offer starts on 17.06.18 and ends Midnight on 19.06.18. We are delighted to offer an Extra 10% off All Orders with Code OFF10. Because of the Bank Holiday, we are delighted to offer an Extra 10% off All Orders with Code MAY10. Offer starts on 27.05.18 and ends Midnight on 30.05.18. I am reaching out to you all in regards to the launch of the soak.com programme onto Awin. We’ve been a leading online bathroom retailer for several years now and are enjoying a top class reputation underlined by numerous UK awards including the 2012 National Online Business of the Year winner and we have continued to flourish since then. Our ethos is heavily focused on providing quality products at prices that don’t break the bank. We are excited to launch our first affiliate programme and are keen to get up and running with you as soon as possible. 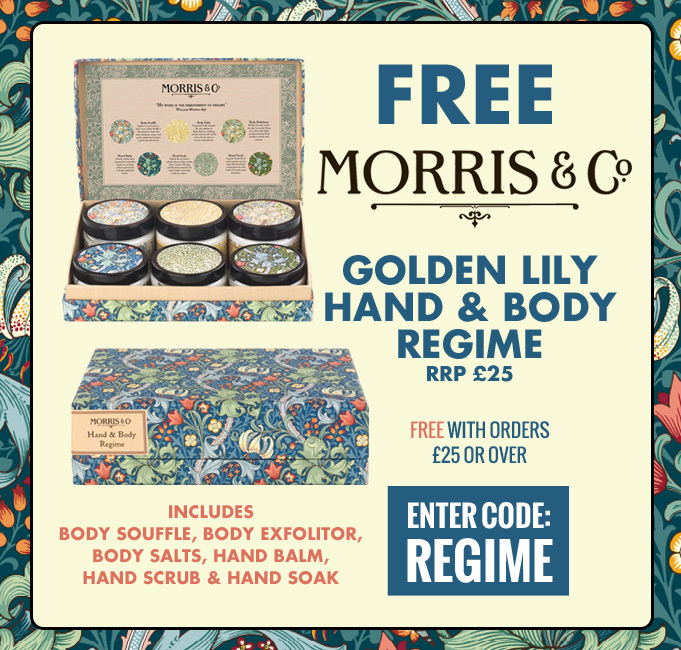 FREE Morris & Co. Hand & Body Regime with all orders £25 or over at Heathcote & Ivory. A practical regime to follow, packaged in a beautifully designed casket filled with formulations to enhance practical well-being using beauty, detail and glorious design. Simply enter discount code REGIME in the shopping basket to take advantage. *Code cannot be used on sale items and can not be used in conjunction with other promotions. Ends 30st April. Heathcote & Ivory is a quintessentially English toiletries and home fragrance gift company. A recognised high street brand, you'll find Heathcote & Ivory products in major high street outlets across the country. Our average order value is £29 and we operate a sliding scale of commission from 5% to 7% - the more sales you help us achieve the more commission you will be entitled to.